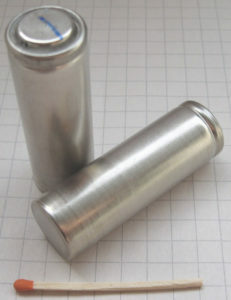 Today, batteries are commonplace. They’re in phones, cars, computers, clocks, watches, pacemakers, and many other devices. But while people assume batteries are a fairly recent invention, they’re actually not. A tomb discovered in Baghdad contains what may be the first type of battery, and it’s been dated as being 2,000 years old! Experts even believe that the Sumerians might have used batteries as far back as 2500 BC, although no surviving Sumerian batteries have been found.